A group of metro Detroit musicians will celebrate the legacy of The Allman Brothers Band with a special tribute show tomorrow night. 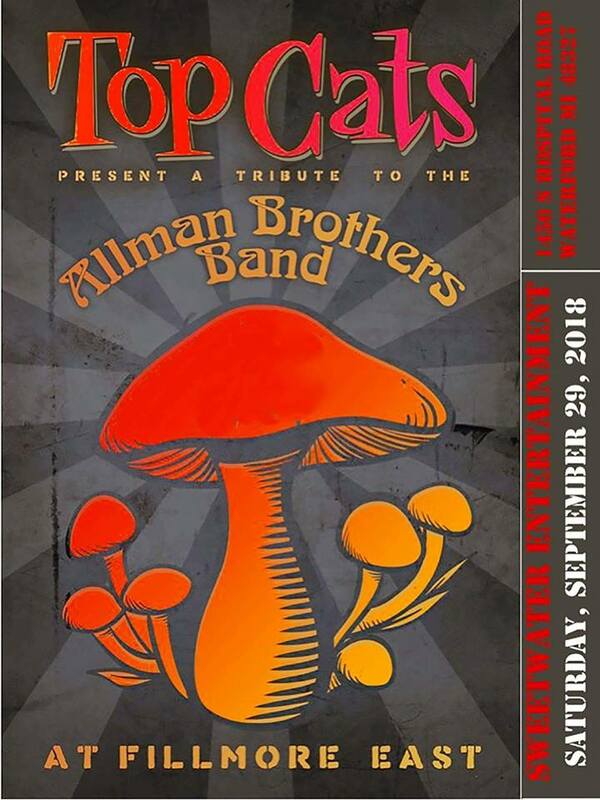 Top Cats Detroit, a classic rock band infused with blues, jazz and progressive influences, will revisit the memorable set from the southern rock band’s legendary March 1971 Fillmore East show in New York City at Sweetwater Entertainment, 1450 S. Hospital Road, in Waterford at 9:30 p.m. Saturday. Released in July 1971, “At Fillmore East” is The Allman Brothers Band’s first live album and one of the last records to feature Duane Allman before he died tragically in a motorcycle accident. As part of Top Cats Detroit, Zanni and his bandmates, including Frank Faga (guitar, vocals), Steve Bander (guitar), William Pope III (bass), Shawn McDonald (keys) and Ron Pangborn (percussion), will vicariously relive the spirit of “Statesboro Blues,” “Hot ‘Lanta” “Whipping Post” and other Allman Brothers Band classics. Mark “The Paz” Pasman, host of WCSX’s (94.7 FM) “The Motor City Blues Project” show, will join the band for part of the set. 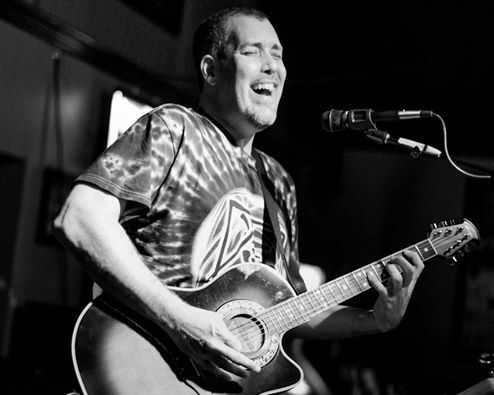 Scott Zanni performs a solo acoustic show as part of Bleeding Heart Music. Also a guitarist and solo performer as part of Bleeding Heart Music, Zanni developed a passion for playing music while growing up in Commerce Township. At age six, he received an acoustic guitar for Christmas and later graduated to an old electric Crestwood by age 13. Throughout junior high and high school, he expanded his musical palate and explored other genres. After high school, Zanni studied music at Western Michigan University (WMU) and Michigan State University (MSU) before graduating with a bachelor’s degree in telecommunications. He developed a flair for broadcast and media production and worked shifts at WDBM (88.9 FM), MSU’s radio station. While working professionally in media production, Zanni also honed his musical chops with writing, recording and performing as a solo acoustic act. He’s written and recorded more than 200 classic rock, alternative rock, blues and grunge-inspired songs over the years in his Eastpointe home studio. Many of Zanni’s heartfelt songs include lush harmonies mixed with highly introspective and emotional lyrics influenced by personal circumstances and experiences. “Worst Day Ever” is a tender acoustic tribute to his late mother, who passed away in 2006 at age 56 while “Time I Went Away” serves as a strong musical reminder to get out of a bad relationship as quickly as possible. In his latest song, “The American Dream Ain’t Dead,” Zanni sings about the nation’s current political and societal challenges against a roots rock and hip-hop backdrop. It’s his personal political statement in response to the Trump administration. Zanni will share his extensive catalog of acoustic tunes at several upcoming metro Detroit area performances, including Oct. 11 and Oct. 18 at C.J. Mahoney’s, 3260 S. Rochester Road, in Rochester.